Organizing your letters has never been easier or more stylish than with this leather stationary and envelope box! 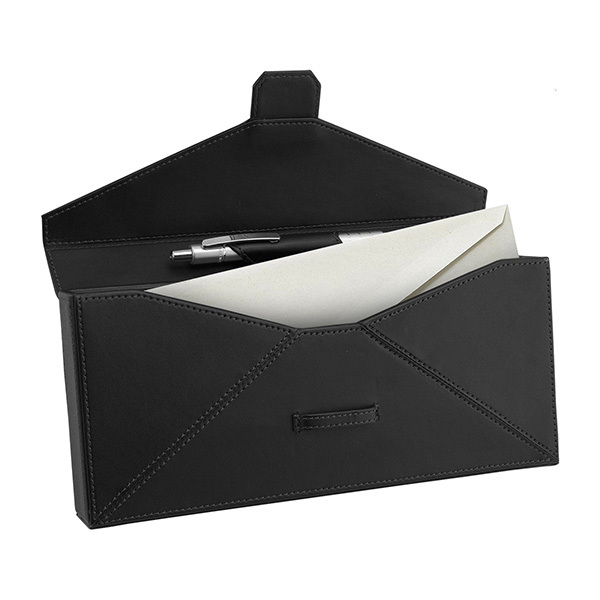 Measuring 10" x 4 1/2" x 1 1/2" and artfully crafted from Valencia bonded leather, this handy piece of storage is designed to hold stationary, envelopes, postage, pens and other small office items. Customize with an imprint of your company logo and message for increased brand visibility. Enhance the look of your desk today! Item Size 10" x 4 1/2" x 1 1/2"
Case Dimensions 11.5" x 20.5" x 11"
Deboss/Foil/Pad 3 1 color, 1 position imprint N.A.